The Telegraph, following a report first written in Kosovo’s daily Sport Plus, are reporting how Liverpool striker Luis Suarez has an offer on the table to play football during his four month FIFA ban. Kosovo are get to gain full membership to FIFA, and in light of that fact Superleague side Hajvalia have made a cheeky offer to sign the Uruguayan superstar on loan. Hajvalia, who came 6th last season, are willing to offer Liverpool €30,000 to loan Suarez, while the striker himself is being offering a pay-packet of £1200 a week. 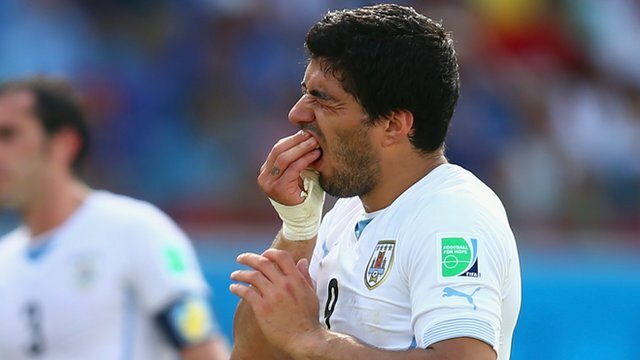 Suarez can’t play in the next four months. As we are not part of FIFA yet, I think he can play in Kosovo, so we have an offer that we will send to Liverpool. This is the maximum we can offer. We offered €30,000 and a salary of €1500 for each month. This might sound ridiculous to him, but that is all we can do. If he is willing to come and play for us, he is welcome. As we are not part of Fifa, it would be ideal for him. CRUSH THE BOOKIES: France are a scandalous 3/1 to beat Nigeria!!!! A copy of the original paper report is below.